Moonstruck's Neva is literally a one of a kind girl! You are not supposed to have "favorites", but Neva is definitely my favorite of my girls, though I love them all (don't tell the other dogs!!). 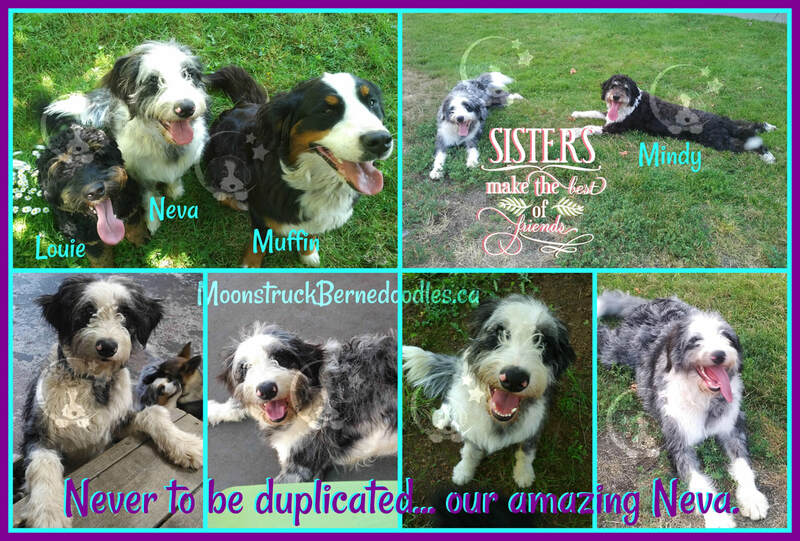 Neva's mother is a Bernese Mountain dog (same mother as Moonstruck's Irma) and she is a littermate to Moonstruck's Mindy. 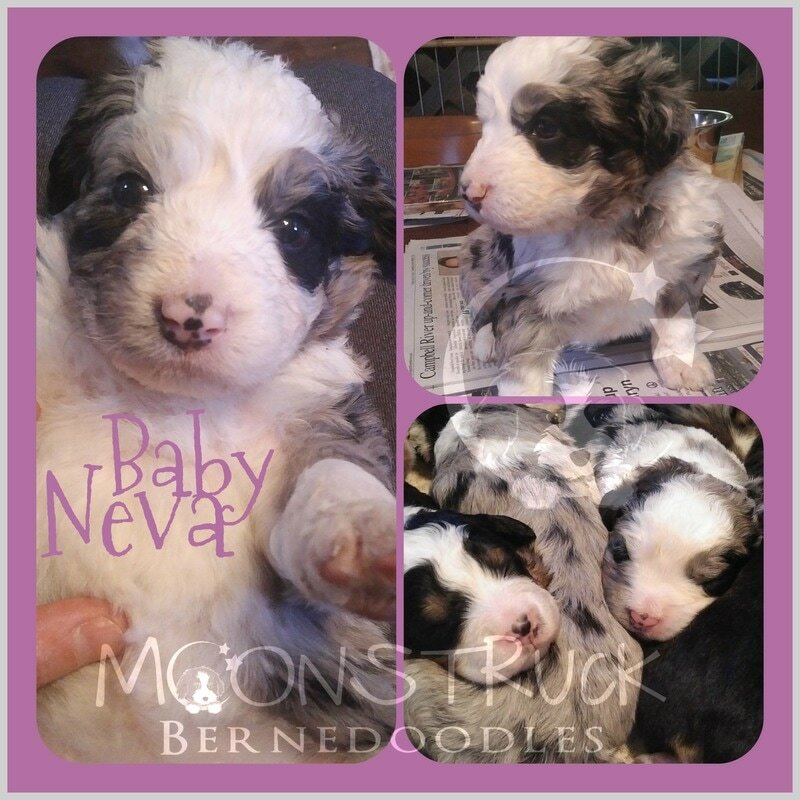 Proud Papa is Moonstruck's Destry who is an F1 Aussidoodle (Austrailian Shepherd / Poodle). 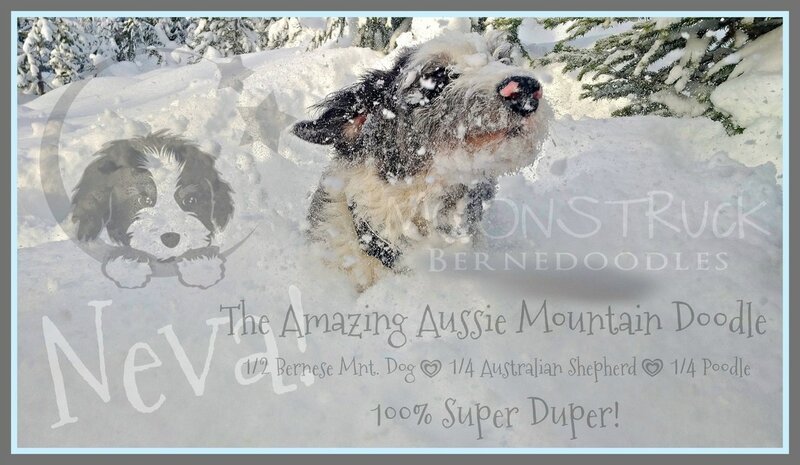 Because this is the first mix to be done like this, I have given them the name of Aussie Mountain Doodle to alleviate some of the confusion between Australian Labradoodle and Australian Shepherd heritage. Neva is an extremely intelligent, very kind and gentle dog who wins the hearts of all those that get to know here and turns the heads of everyone when we go out. Her unique look has people stopping their vehicles to meet her! 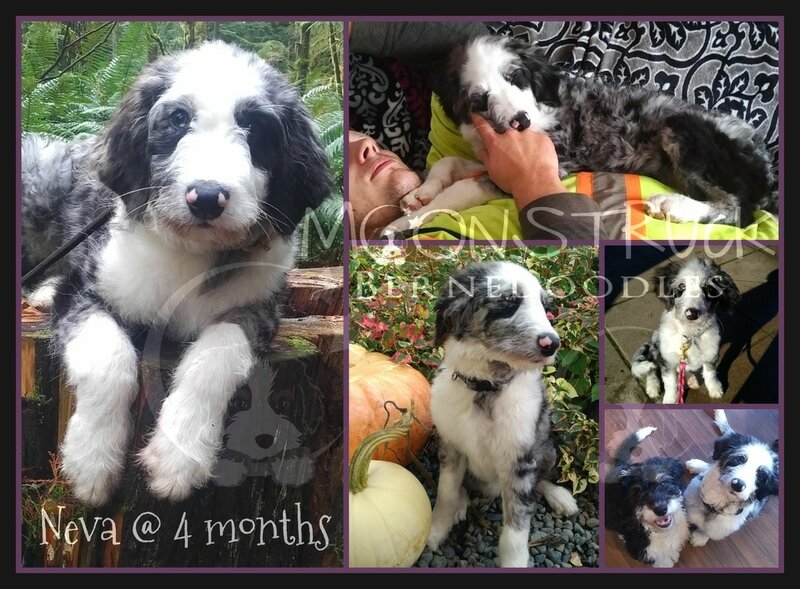 Neva is a permanent Moonstruck Bernedoodles resident living with us and her other dog friends.